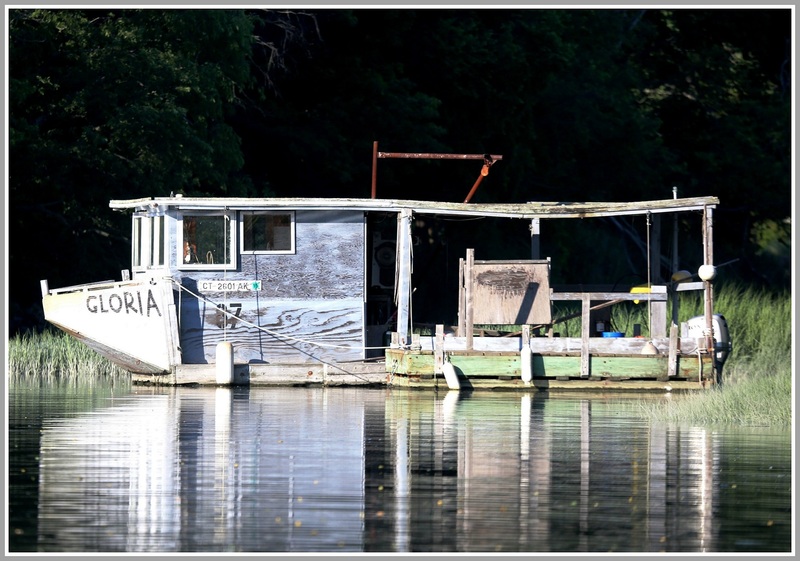 This entry was posted in Beach, Longshore, Pic of the Day and tagged Alan Sterling, Gray's Creek, oyster boat. Bookmark the permalink. I agree. When I pass through there, I always look for G-l-o-r-i-a…. That’s a seaworthy Boat ? Who has become the steward of the boat? It is an iconic symbol of Gray’s Creek! Seaworthy for all time. First met Alan in the early seventies (1971+/-)when he was living upstairs over my shop on Taylor Place (Mad John’s). Always a good friend. Sincere, talented, interesting……”one of a kind”. A beautiful blend of a great thinker and a hard worker. Insightful, well defined and honest. Gloria in her own right was a mirror of Alan, equal in spirit. When I see the boat I always think about how much he loved her and how devastated he was when she died. We talked about it a few times, it was a hard topic to discuss. The feelings were overwhelming. The boat is like a dream. It floats in a timelessness sea of memories. It gives me great peace to know she is there. Funny that this photo should be posted today. I passed by her late this afternoon, looking over at her, the sun blinding, I caught a glimpse of her “crown”. Wished her well and felt a sense of relief knowing she was there. As if a monument to the Westport of long ago I thought how fitting it would be if she could be just be left alone, respected and cherished, to slowly melt into the marsh. To quietly join them. I am sure Alan would have appreciated this photo, made some wild abstract wise crack about boats and women and laughed his signature laugh with one of the happiest most weather beaten faces I have had the pleasure of knowing. His eyes danced with delight. I came to Westport as an au pair from Denmark in early 1967, Alan was one of the first people I met, I think I was introduced to him by a Dutch au pair, who already knew people in Westport, she was good friends with Alan. She became a close friend (still is although I’m California and she is in Holland). Alan became of good friend of mine as well and your description of him above, is how I remember Alan, very sincere, a very loyal friend, interesting. I was new to the US and it’s customs, many of which was confusing to me. However, that first year and later as well Alan was one I could always rely on, looking back I would say he almost acted like a big brother. I remember going to his apartment at Taylor’s place, there often were many different people there. It was very much a sixties kind of free for all hang out. If my girl friend and I wanted to go to a movie, but we had time to kill, we would just go to “the apartment” as we generically called it. I don’t remember the door ever being locked. Later on I met his brother Doug and he became a friend as well, but Alan was the one I relied on and sought advise from. I moved to New York in early 1969, but would visit Westport quite often, eventually over the next few years I lost touch with Alan. All of sudden the was not at the Shiplantern anymore, although it sounds like he still lived int he apartment. I was sad when a few years ago I learned from this blog of his passing, but grateful I have some ending to my friendship with Alan. I knew Alan way back when. Always a fixture at the Ships Lantern, shared many a beer with him. Bought his motorcycle from him, a 125 cc Gilera. He said he had enough of it. Still have the title. Alan Jesup Sterling,, he did it his way.